Ryan Johnson is a founding partner of Johnson Hobbs Squires. He has broad experience representing businesses and individuals on commercial and business litigation and arbitration as well as product liability matters. 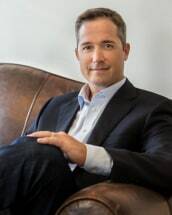 Ryan has successfully prosecuted claims involving serious personal injury, wrongful death, merger and acquisition agreements, violations of non-competition agreements, trademark and trade-secret disputes, employment discrimination disputes, product liability, securities claims and inverse condemnation. Ryan was recently selected by his colleagues as a Texas Super Lawyer "Rising Star", a Thomson Reuters Service, in Texas Monthly magazine for the years 2013, 2014 and 2015 and as a Texas Super Lawyer for the years 2016 and 2017 in recognition of his advocacy on behalf of clients in personal injury and product liability cases. Ryan graduated second in his law school commencement class and has subsequently served as an adjunct professor at Baylor Law School where he has taught classes on arbitration. Prior to joining the Firm, he was formerly employed as an engineering consultant for Compaq Computer Corporation and Hewlett-Packard in Houston, Texas.